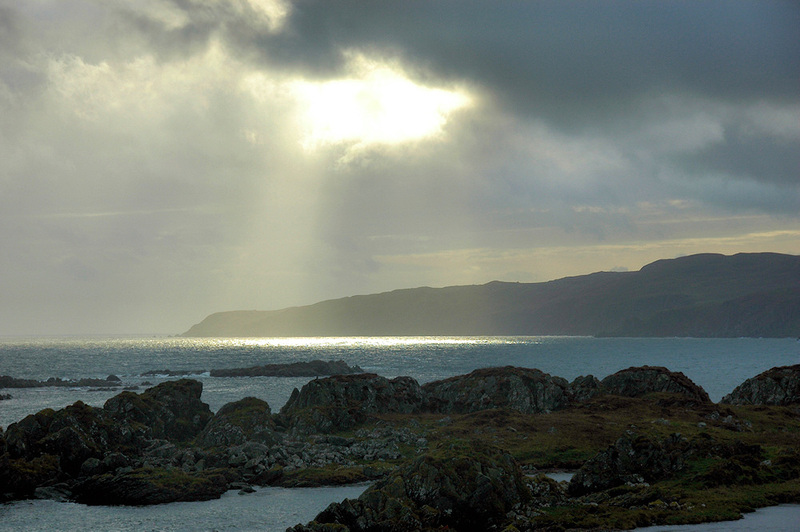 On a cloudy and rainy day a ray of hope, the sun breaking through the clouds over the Oa in the south of Islay. Seen from the Ard at Port Ellen. This entry was posted in Cloudy Weather, Landscape, Repost and tagged Islay, Port Ellen, The Oa by Armin Grewe. Bookmark the permalink. Nice to see a bit of sun, even if it is only on my screen.